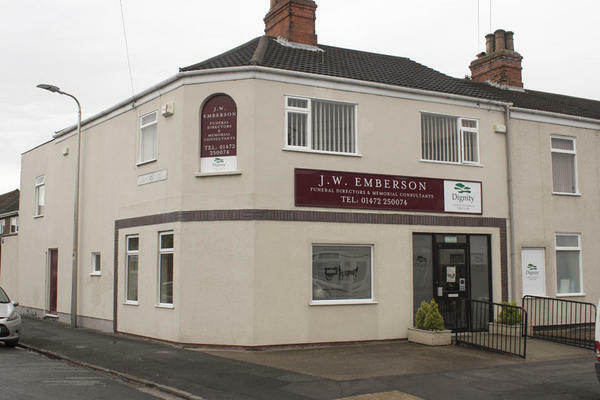 J W Emberson Funeral Directors have been supporting the local community in Grimsby for many years. We are dedicated to providing the highest standards of funeral care to every family that we work with. We understand the importance of arranging a perfect farewell for your loved one, so that you and your family can celebrate their life in a meaningful way. By working closely with our ties in Lincolnshire, we are able to arrange all kinds of funerals. Whatever you feel is most fitting for your loved one, we will be able to help make it happen. From woodland burials, to traditional ceremonies, we are here to ensure your loved one's funeral service is just as you want it to be. We are always here to help you. You can reach us 24 hours a day by telephone, whether you need advice and guidance, or someone to talk to. Call us today on 01472 250074 to talk through your personal requirements. At J W Emberson Funeral Directors, we understand how special life is with those that you love. For us, every funeral is unique and personal. We have a service to fulfil every wish, with every detail carried out with the same uncompromising quality of care. From a traditional service, to a colourful woodland burial, your options are limitless with our Full Service Funeral. If you have a little more flexibility when it comes to arrangements, then we can provide a Simple Funeral for a lower cost. Our staff are available 24 hours a day on 01472 250074 if you require our services outside of these hours. From the minute we got in touch with J W Emberson we felt they dealt with us with so much respect and compassion. It felt like they took the weight of my shoulders, Brian was there at every turn and to advise and assist. He kept in touch to ensure things were going as smoothly as I had expected and too see how the family was coping even after the service. In the end I felt like Brian was a friend he was so compassionate and caring. I could not fault any of the services offered and that J W Emberson went above and beyond with their duties. I would not hesitate to recommend J W Emberson and most definitely Brian who was an absolute diamond. Thank you for sharing your thoughts with us on your online review. I am pleased that we provided the highest level of care and guidance for you and your family and that you were so well looked after by our team. Following the recent sudden death of my mother I have nothing but praise for the caring understanding and totally professional way in which all the staff at Embersons helped us through the very difficult and upsetting time. Darren and the team were so thoughtful and kind. All of our requirements were met with compassion and understanding. Nothing was too much trouble. I can fully recommend them. The team could not have been more helpful and sympathetic. Our family have used J W Emberson for quite a few family funerals in the past and were our only choice to take care of our mother. Their personal service and guidance throughout this painful period was exceptional, we cannot thank them enough. Thank you for the comments left as part of your online review. I am pleased that the arrangements for your Mother were carried out to your satisfaction and that we provided the highest level of care and guidance to you and your family. The funeral director was very sympathetic and reassuring in the difficult time of arranging the funeral details. He put the family at ease was very thorough with all the items that needed to be sorted out. His follow up phone calls and visits were very much appreciated. Thank you for posting your review online. I am pleased that we were able to look after you and your family at this difficult time and that we were able to help ease any worries that you may have had. Service was very efficient and very dignified. The items included in the package were given in a very misleading way leading to an additional charge of £250.00 which the two of us present were to say the least very unhappy about. I would recommend the service but warn to not accept anything other than a full written quote to show what is included, as they can say anything after the event. I would like to thank all the staff at Embersons on behalf of myself and my sister as we thought their service was excellent. They attended to all our needs and did a first class service during the few weeks over Christmas when our mum passed away. They were caring, considerate and exceptional attention to detail. They even provided regular welfare checks for me and my sister to see how we were coping after mum's death. Their service was excellent and we thank you again for all that you did. We were looked after in a very profesional and respectful manner by brian. He guided us through each part of the process and explained everything to us. We are very grateful for the care we were shown throughout. Thank you. Thank you for the comments left as part of your online review. I am pleased that we provided the highest level of care and guidance to you and your family. Thank you for posting your review online. I am pleased that we were able to look after you and your family at this difficult time and that we were able to provide you with the support and guidance needed. Services were provided with total professionalism and dignity throughout. Support and advice given throughout this emotional and raw stage. Thank you. I was looked after by Darren Mitchell in Grimsby what an absolute gentlemen from the beginning to the absolute end can't thank you and all you're team for how we where looked after US at one the most difficult times in our lives. Thank you for the kind comments posted on your online review. I am pleased that we provided the highest level of care and guidance to you and your family and we were able to help make things easier for you at such a difficult time. We thought the service provided by Embersons was excellent. Thank you for sharing your experience with us on your online review. I am glad we were able to provide you with the care and support needed at this time and that all of your wishes and requirements were carried out by the team as you had requested. Thank you for taking the time to complete the online review. I am pleased that we were able to look after you and your family at this difficult time.